Have you been experiencing stiffness and pain in the hip when you get up from bed in the morning or when standing up after being in a seated position for a long time? Do you feel the “crunch” of bone against bone when weightbearing on your hip or have difficulty with routine activities such as putting your socks on? This may be an indication that you have arthritis of the hips. Hip arthritis may make it difficult to walk causing pain in different areas such as the groin, buttocks, and thigh. The pain may be dull or sharp and stabbing in nature. 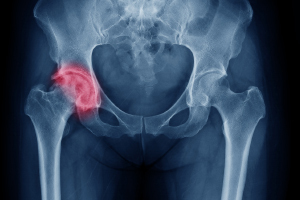 Joint injury, being overweight, or age-related wear and tear are common causes of hip arthritis. If the symptoms are relatively mild and not interfering with routine activities, performing exercises to strengthen the muscles and ligaments that surround and support the hip joint may help prevent the wearing away of the hip joint cartilage. Reducing your body weight will also help relieve the symptoms of hip arthritis. However, it’s time to see a doctor when the hip pain and stiffness is curtailing your lifestyle and making you miserable. Conservative or non-surgical treatments would include pain medication or injections as well as physical therapy to relieve symptoms and improve joint function. Stem cell therapy is an advanced therapy that may be beneficial in some cases as it promotes the growth of new cartilage and bone. Hip arthroscopy: Surgical repair of torn ligaments and tendons and well as removal of necrotic debris may be performed through keyhole incisions on the surface of the skin. Hip resurfacing: The damaged joint surfaces are trimmed back and replaced with a metal covering. This is generally performed in younger patients. Partial hip replacement: Part of the hip joint is replaced. This is generally performed in case of a broken hip bone. Total hip replacement: The entire hip joint is replaced. This is generally performed in older patients. The ideal treatment option would be based on the amount to damage to the hip, your age and your activity level. Talk to us about a treatment option that is best for you.